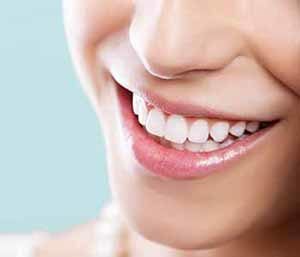 Patients who have imperfections of the smile will often find that dental restorations will do the trick in restoring the beautiful, natural appearance of the teeth. Dental implants – dental implants are restorations that are fabricated from titanium and are implanted into the jawbone to function as a tooth root once did. This is one of the most popular methods of repairing a smile after tooth loss. Dental crowns – crowns or “caps” are restorations made of porcelain to match the shape, size, and color of the existing teeth. These restorations are bonded over a natural tooth to offer an extra layer of protection or to cover a problematic tooth. Dental bridges – tooth loss can be addressed with the placement of a dental bridge. Dental bridges are restorations made of ceramic that include false teeth and crowns that use the adjacent teeth for support. These restorations are often more permanent than dentures but less expensive than alternatives including dental implants. 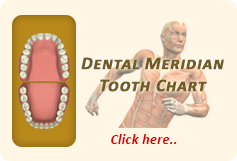 Dentures – dentures come in two varieties, full dentures and partial dentures. The number of teeth missing in the smile will determine which type of denture a patient may require to repair the smile. Dentures are easy to remove and replace, as well as simple to care for, while being the most economical solution for most individuals. Composite resin bonding – when patients have areas of decay, they may have tooth colored fillings placed made of a material called composite resin. This material is practically indistinguishable when placed in the smile and is safer than alternative fillings such as silver amalgam. Composite resin bonding can also be used on teeth with imperfections such as permanent staining, chips, and cracks. Porcelain veneers – veneers are ceramic facings custom-fabricated to bond over the front of teeth with imperfections to disguise them and provide a more attractive appearance to the front teeth. Schedule a visit with Drs. John L. Aurelia and Dina Khoury today! Patients in the Rochester, MI area seeking cosmetic restoration of the smile are welcome to book an appointment with Drs. John L. Aurelia and Dina Khoury at 804 N. Main Street #201A. Their practice welcomes new patients and families who are interested in general, cosmetic, and restorative dentistry solutions. A visit can be scheduled by calling the friendly front office team at (248) 243-6044.